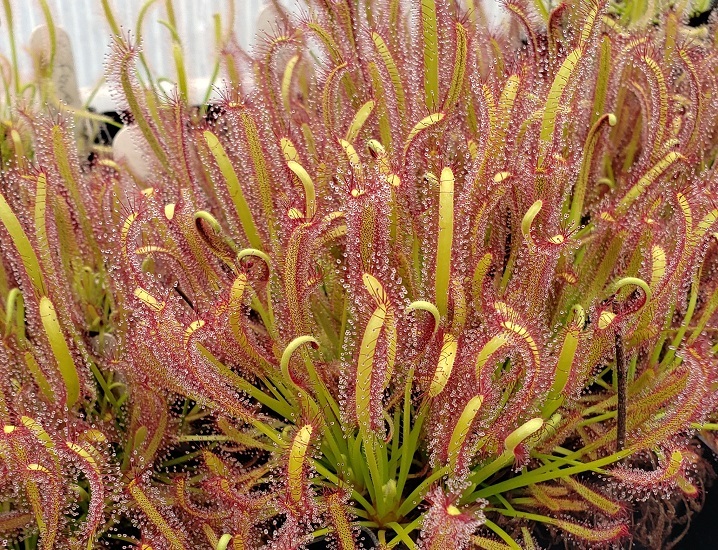 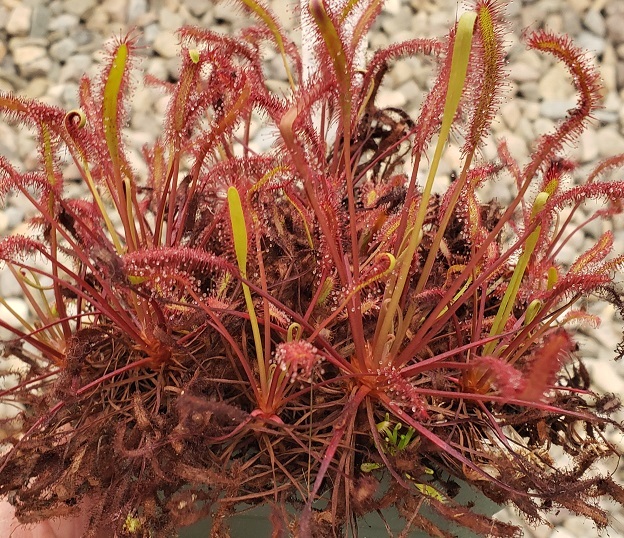 D. capensis "All Red" (These are currently on a bottom shelf, so there is some green but you can see a better example of the plant in its glory here. 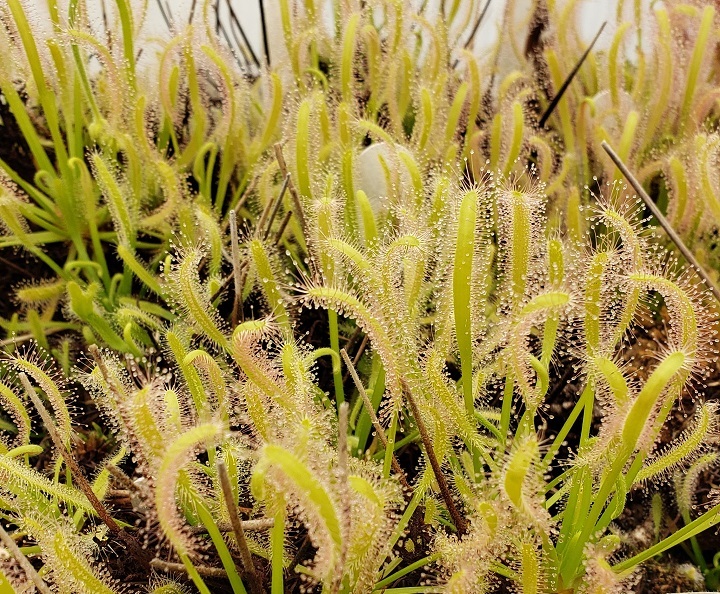 D. capensis You can't see the pots, but these plants are big! 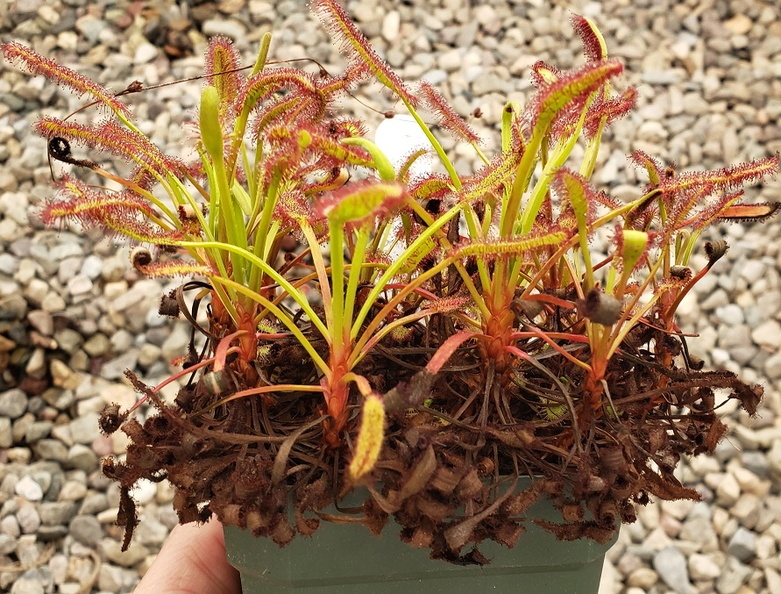 pots are 3.5" x 6" tall so likely long roots too.